A retro circus giraffe print, perfect for a nursery or child's bedroom. 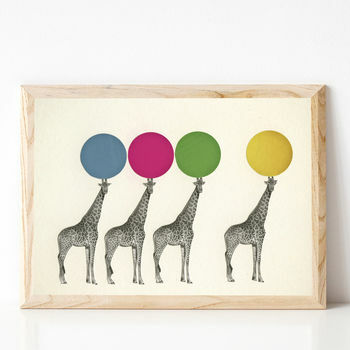 A fun retro circus print in neutral colours. 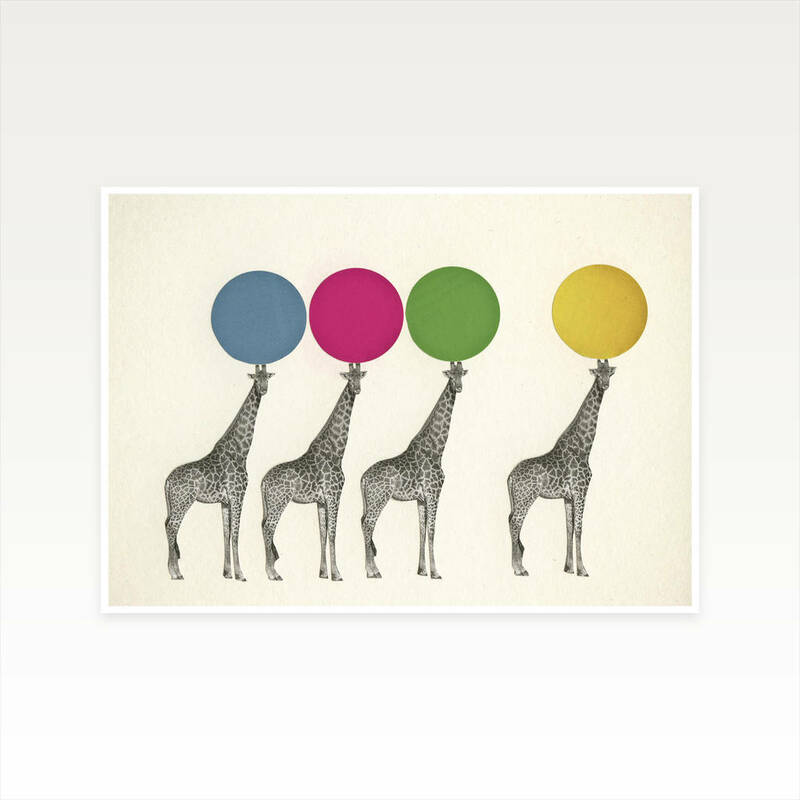 This colourful art will suit any child's bedroom or nursery. Made into a print using my original hand cut paper collage giving it lots of charm and character. With a mix of retro and modern, this print appeals to everyone and is one of our most popular pieces.